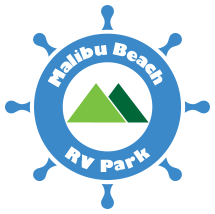 Malibu Beach RV Park offers a cottage rental with a full kitchen, living room w/cable TV, two bedrooms, single bath, washer/dryer, covered patio, open patio and lawn area. No pets or smoking allowed. Call our office for availability and details, (800) 622-6052 or (310) 456-6052.